Wow! 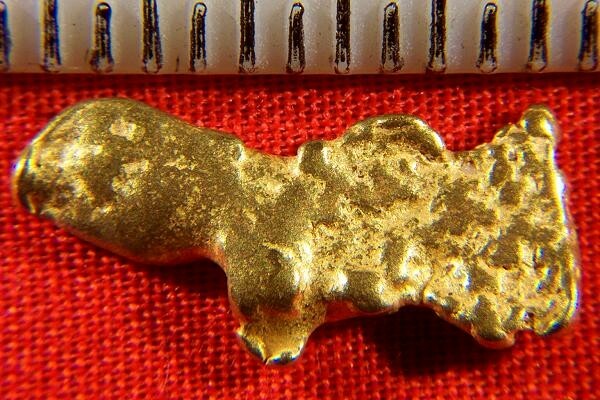 That's about all you can say about this beautiful Natural Gold Nugget from Northern California. It has the distinct shape of a dog or a sheep. Natural gold nuggets in distinct shapes like this are extremely rare. It weighs a hefty 36.7 Grains (2.38 Gram)and is 3/4" (19 mm) long. 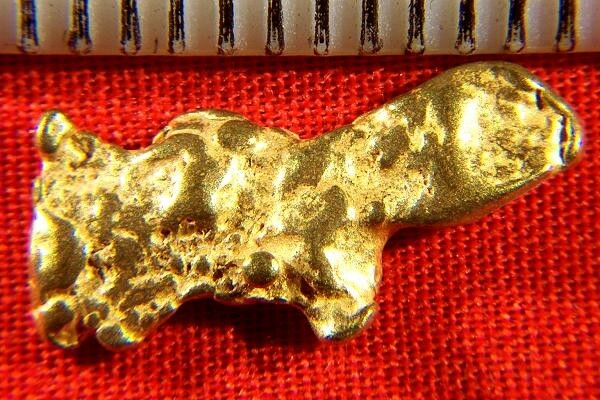 California Gold Nuggets like this are highly prized by jewelers and collectors and make a great investment. It also comes with a certificate of authenticity.